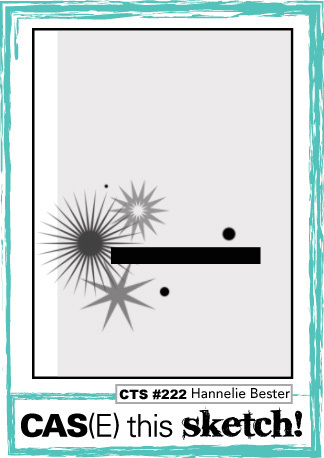 I have a great niece (that I love to bits) who is going to turn 2 soon, so I used Jen’s layout to create her birthday card. I’ve been hanging to use Perfect Pandas and thought Jen’s was a perfect opportunity to give these sweet panda’s some ink. The designer series paper I’ve used in the background is from Bundle of Love Speciality Designer Series Paper. The number 2 that I stamped in the balloon is from a retired Stampin’ Up! set call Memorable Moments. The 2 fit perfectly in my balloon. The Clean Team have created wonderful cards that will definitely inspire you. 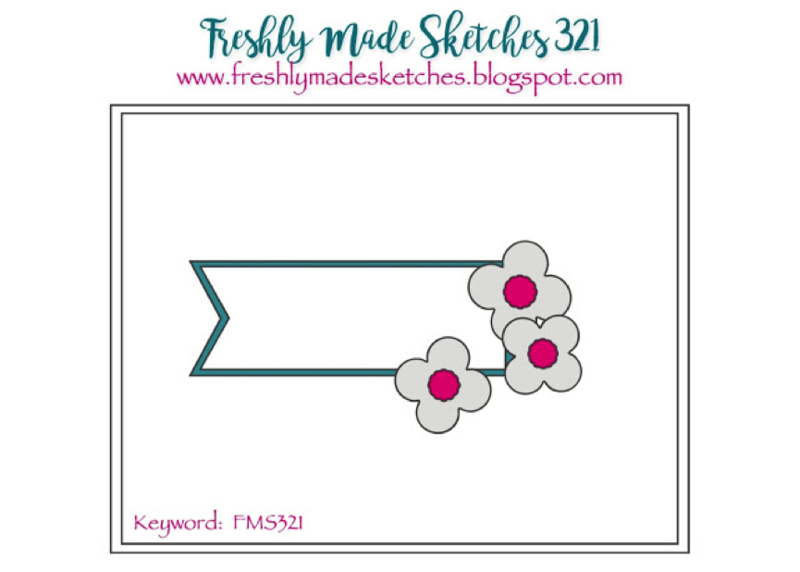 Head over to Freshly Made Sketches and take a look at their cards. One of great things about attending a Stampin’ Up! Onstage Event is seeing and receiving products from the upcoming Occasions Catalogue. The stamp set I received for attending Onstage is called Picture Perfect Birthday. 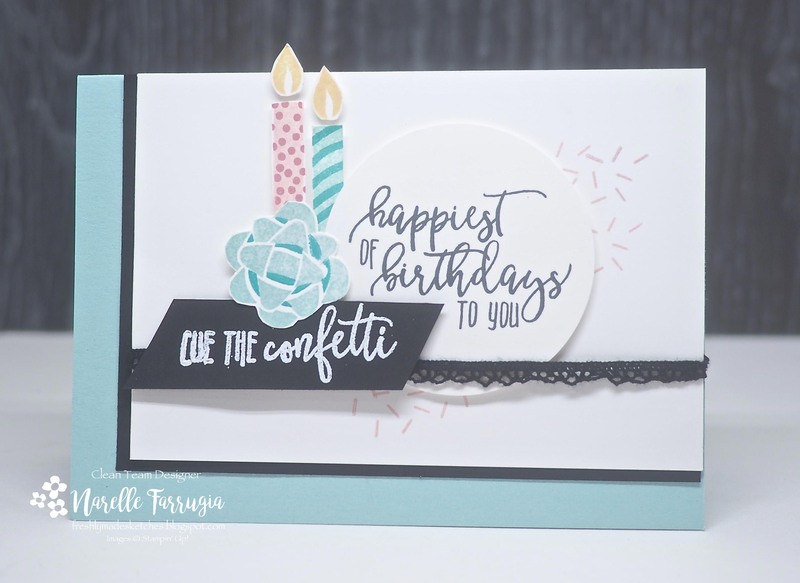 This set is all about birthdays and I’ve chosen the candles, bow, confetti background stamp and sentiment from this set. 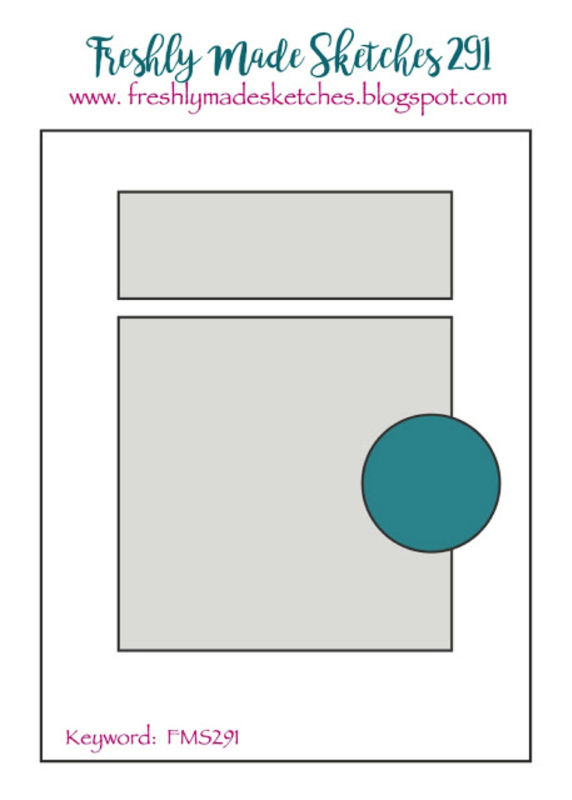 The candles are a two step stamping image. The first one is stamped in Blushing Bride and Berry Burst and the second one, as well as the bow, is stamped in Pool Party and Bermuda Bay. The confetti in the background is stamped in Blushing Bride. I then added a strip of Vintage Crochet Trim across my card. 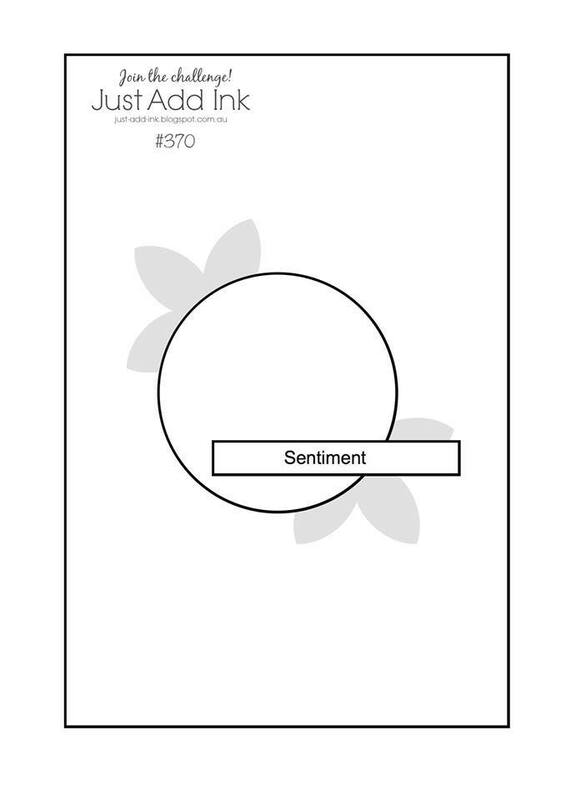 The “cue the confetti” sentiment is embossed on Basic Black cardstock and the sentiment on my circle is stamped with Basic Black Archival Ink. The team at Freshly Made Sketches has created awesome cards. We would love it if you could join us with this weeks sketch. 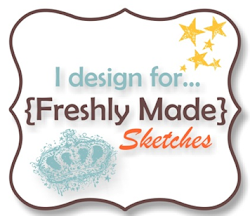 Time for a new challenge at Freshly Made Sketches. Our fabulous sketch creator is my very talented friend, Karren Johnson. 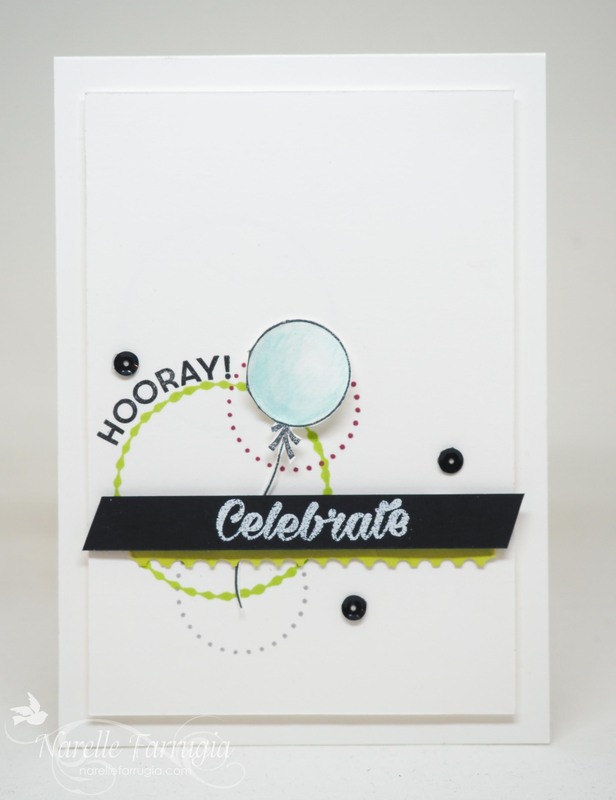 As soon as I saw Karren’s card for this challenge, I immediately fell in love – it is absolutely stunning! A card after my own heart with truly amazing flowers and perfect colouring. I have only just realised I’d ordered Stampin’ Up!s Birthday Delivery and it had yet to see ink. 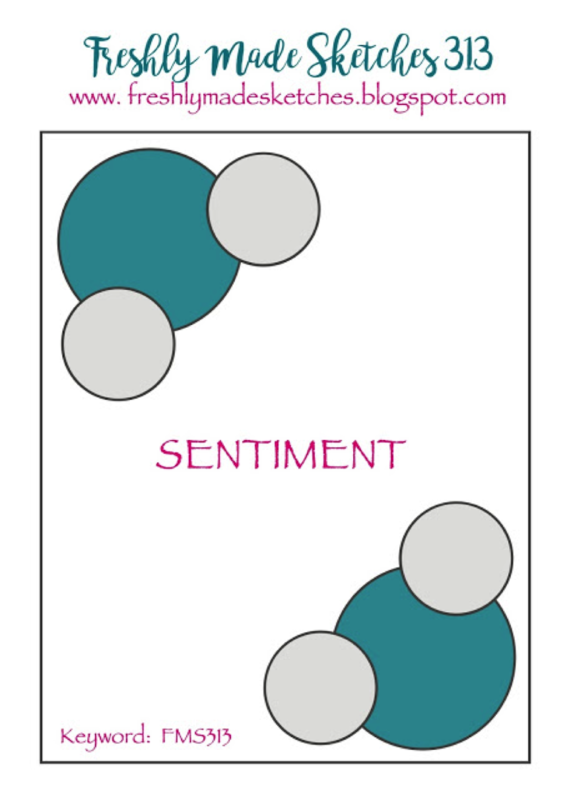 I decided to get a little creative with Karren’s sketch and create a card for a child using this set. Can you see how I kind of followed the sketch? Hopefully Karren will think it’s close enough……. My images are lightly watercoloured in a variety of colours. For once I think I was able to combine colours and make them look like they belong! To see all the gorgeous cards the Clean Team have created, head over to Freshly Made Sketches. We would love it if you could join us with this challenge. My wonderfully talented and hardworking friend Kelly Kent is celebrating 5 years of being a Stampin’ Up! Demonstrator! I was really pleased to meet Kelly in person last year at Stampin’ Up!s OnStage Event. She lives waaaaay on the other side of Australia to me and someday I hope to catch up with her again – she is such a sweetie! 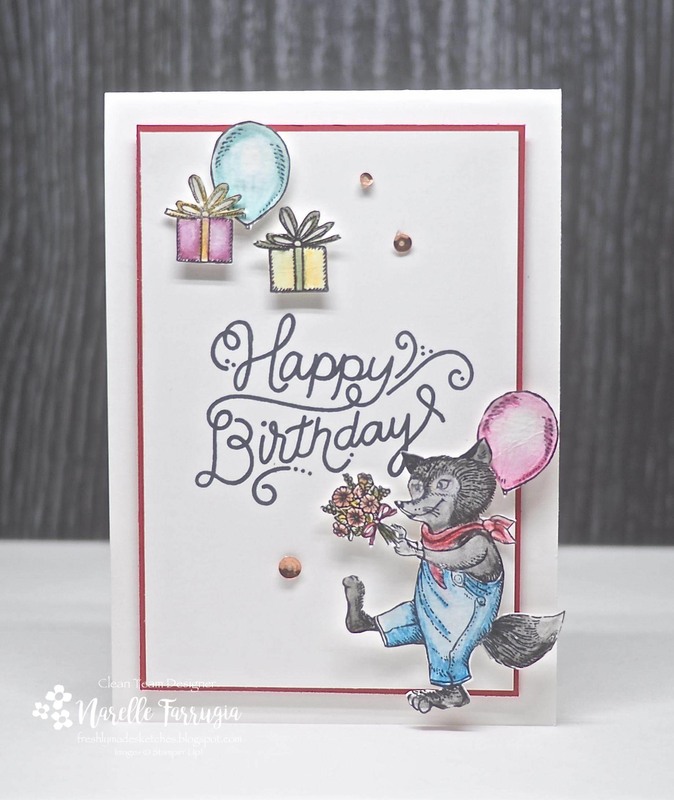 To celebrate her milestone she has organised a blog hop with stamping friends. I loved the idea of a blog hop to celebrate her anniversary and was pleased to play along. I’ve just realised today is actually my 8th year anniversary as a demo too! To top things off today is my 25th wedding anniversary – so celebrations all around! The theme for the hop is “Happy”. 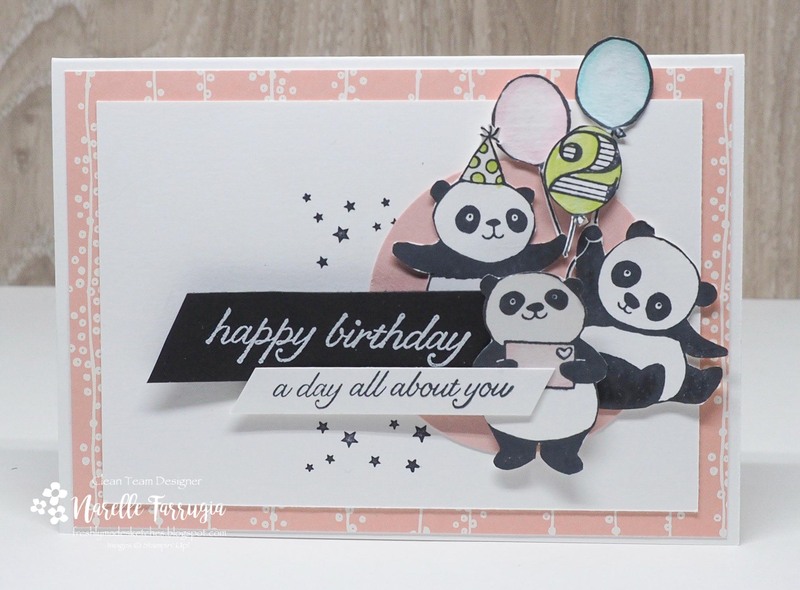 The card I’ve made is a fun birthday card with a cool “Happy” sentiment from Birthday Celebrations. I watercoloured my sentiment in Lemon Lime Twist – a colour that really pops when combined with Basic Black. 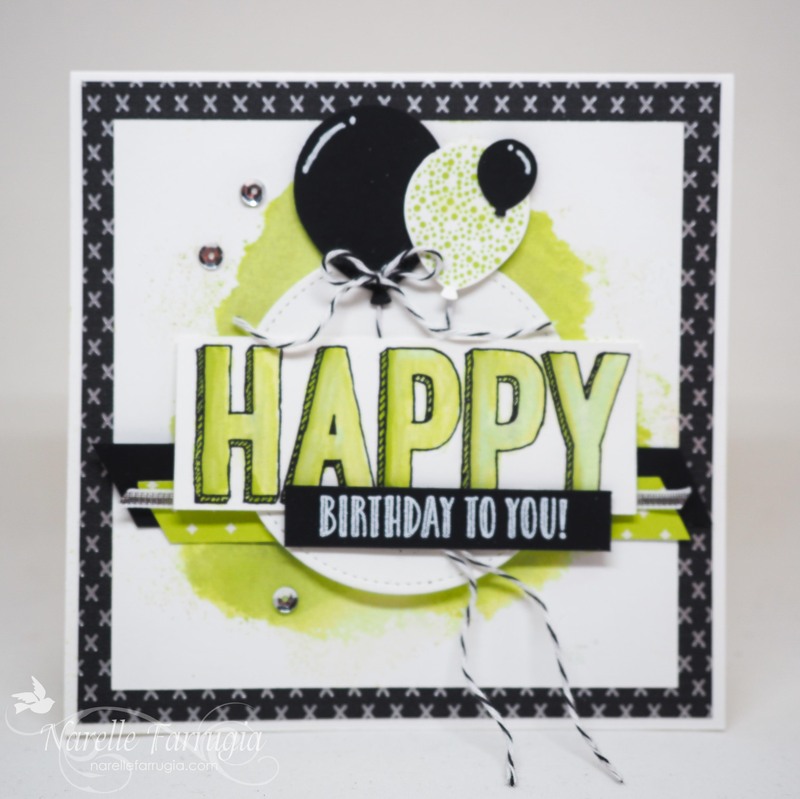 I heat embossed the “Birthday to You” sentiment (also from Birthday Celebrations) in white embossing powder and smooshed techniqued the background with Lemon Lime Twist. 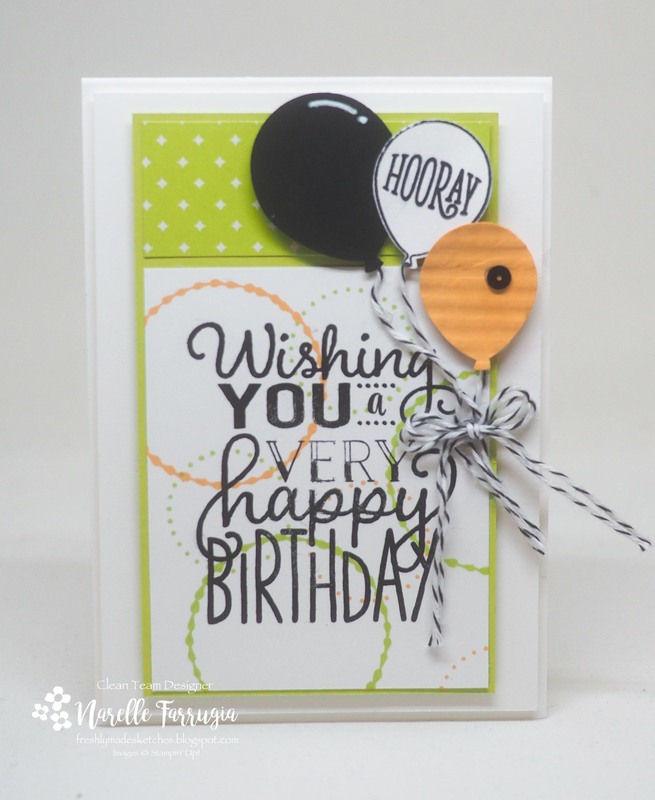 The Lemon Lime Twist balloon is stamped from a set called Happy Birthday Gorgeous and the black balloons are punched with various Stampin’ Up! balloon punches. I used my white gel pen to create a shine line to them. The black and silver DSP is from Pop of Pink Specialty DSP and the strip of Lemon Lime Twist DSP is from Eastern Palace Specialty Designer Series Paper. A little bit of Black Bakers Twine, Silver Ribbon and a few sequins and my card was done. Next hop along the way is Wendy Hodkinson. You’re going to love what she’s created.